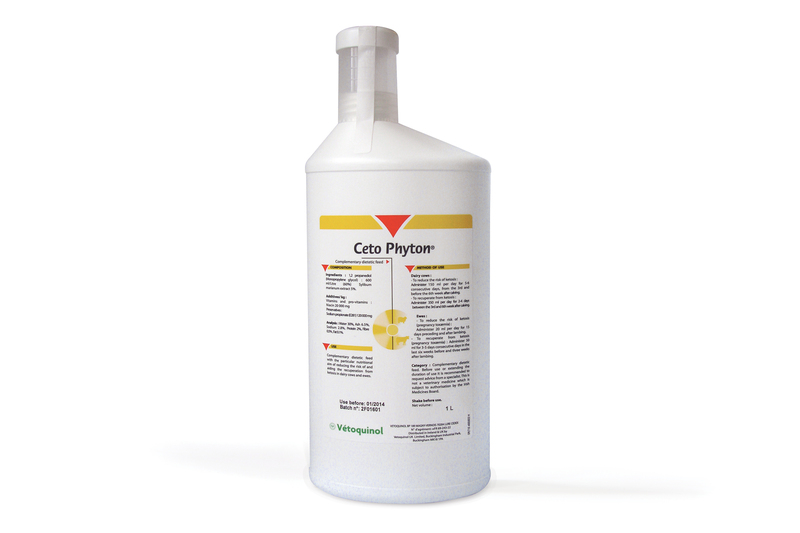 Ceto Phyton®is a unique formulation of sodium propionate, niacin, Sylibum marianum and monopropylene glycol. It is a dietetic supplement to reduce the risk of ketosis in cattle and ewes. It is a dietetic complementary feed. It is available in 1l.